Graveyard Shift - Spooky Scary Podcast Edition! OOOOOOooooohhhhh! Good evening everyone, and welcome to the The Graveyard Shift, which is hosted by Kotaku's reader-run blog, TAY. This is a place to talk about life, video games, or anything else you want, so feel free to hop in and join in the topic discussion, or anything else you want. Then, when you're done, feel free to dive into other articles on TAY and TAYCLASSIC. Feel free to check out Ani-TAY. Is this your first time on TAY? Then check out this handyTAYtorial! Why hello there! Lately, whenever I am working out or just plain working for an extended period, I have taken to listening to a podcast. This particular podcast is perfect for me because it fills the need that I have had since I was a child. 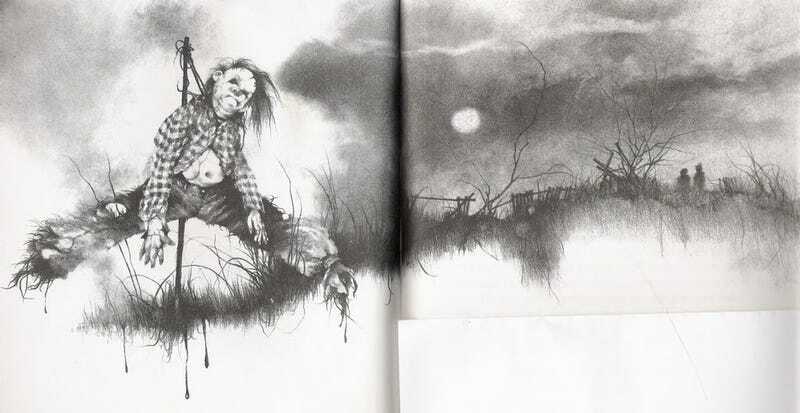 You see when I was young I had a thing for spooky stories such as those found in the anthologies Scary Stories to Tell In the Dark That is, it gives me my dose of spooky scary stories. This particular podcast happens to be the No Sleep Podcast. Mind you it isn't conventional jump scare scary just... spooky or creepy at times. The stories aren't all winners of course, but when a story is good it is REALLY GOOD. Tonight's Topic: Are there any podcasts that you actively listen to on a daily or weekly basis that seem to get you through those work outs or you genuinely just enjoy? Alternatively, are there any scary stories you've read or heard about when you were young that chilled your bones or just stick out in your mind? If tonight's topics don't interest you feel free to talk or vent about games, life, food , music and everything in between! Don't talk amongst yourselves though... That's not what this is. GRAVEYARD AMONGST YOURSELVES!